Welcome! 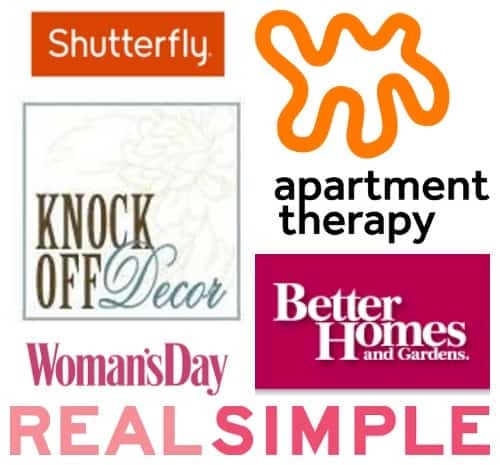 Meg from Green With Decor organized an amazing Fall home tour hop featuring tons of bloggers and gorgeous inspiration all week. If you are coming from my friend Iris Nacole, welcome. I’m sure you are still swooning over her beautiful home. Well, I hope you have your cup of tea or coffee ready. This will be our last home tour in this house. If you haven’t heard the news yet, we are moving from Okinawa to Iwakuni, Japan next month! I kept the Fall decor fresh and light this year with pops of red, pink, and blue for a non-traditional twist. Recently I bought a cute room heater to put under the faux fireplace surround in our foyer. I love the glow it emits (and I can keep the heat off!). I used some red books and artwork to pull in the Fall colors with my velvet pumpkins, brass deer, and feathers. The larger urban art is an ink painting by New York Artist George Grammer. It’s my FAVORITE art piece that we own. The smaller watercolor my husband bought for me while he was deployed to the Republic of Georgia. I love that man for bringing me home local artwork as souvenirs!! A geometric pillow carries over blue my office area and living room. I think it might go to my son’s room when we move. It has such a vibrant pattern. My seasonal chalkboard sign finally got a new drawing with a hand drawn feather! I usually don’t use reds in my decor but I snagged a cranberry color woven pillow cover on clearance and arranged with my DIY winter fur pillow and a floral on the couch to tone it down. Reds are growing on me! My children wanted to decorate the coffee table and I was so impressed with how they arranged it, that I left it! Proud mama. I added more Fall touches with feathers, a ceramic deer head, and copper pumpkins planters placed around the room. I found beautiful paper red sakuras to add to our aqua vase on the piano and displayed two more Georgian watercolors for more warm colors. I’m going to miss our sun filled rental so much (and the ocean views) but I’m excited to experience four seasons again in Iwakuni. Not to mention a new place to put my thumbprint on! Next on the tour is another sweet friend of mine, Deb from Seeking Lavender Lane! Tell her I said hi! soooo I have to admit that I am not a big fan of velvet pumpkins (i am the only person in the world. i realize!) but there is something about yours that i love… i think it’s the color purple- i just love how they look in your home with your modern neutrals! beautiful, kathy! Then mission accomplished! It’s tricky to reuse seasonal decor in a modern way but I love those stinkin’ pumpkins. I made them years ago when LoveFeast started making them popular. Thanks for the sweet compliment Cassie! I always love seeing how you decorate your home. Love the bit of red too. Aw! Thanks Marty! I’m really enjoying the red. You’ve done it again Kathy! Made my heart flutter at the sight of your decor! Thanks for sharing your gorgeous home with us! Thanks for the sweet words Iris! That first vignette has got me swooning hard! Stunning…and I have to find a chinoiserie garden stool now! Your home looks gorgeous. Thank you Erica! That garden stool was under $30 at the military bx. I couldn’t believe it. Everything is so gorgeous – I’m swooning! 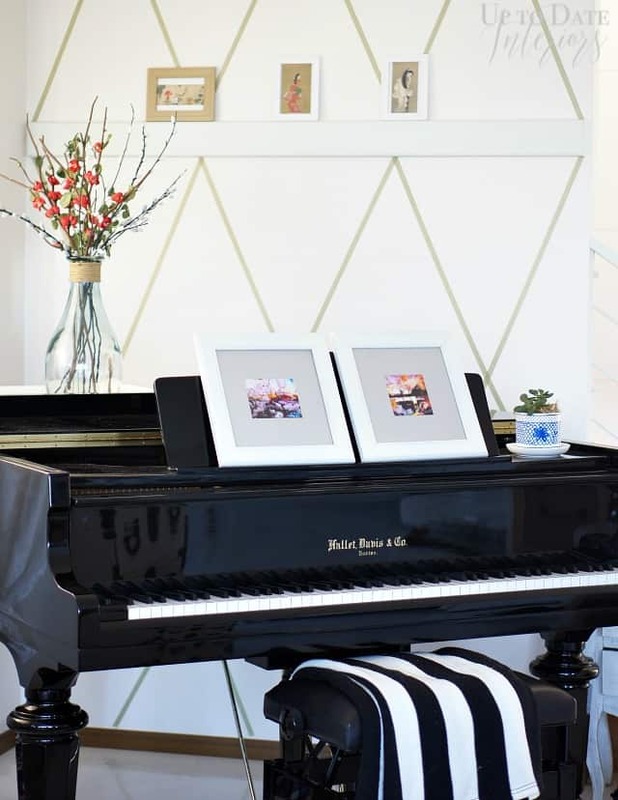 I just love seeing pianos in other spaces!! Thanks Maria. So pretty Kathy! I love this mantel so much! Thank you Deb! I plan on giving it a makeover when we move. The details are so cute on it. I love all your beautiful touches. It flows so seamlessly together! Goodluck on your move! Beautiful as always! I’m so impressed with your kids’ coffee table decorating skills! 🙂 Can’t wait to see your new place! Thanks Meg! I’ll have to use my little helpers in our new house. They crack me up! I love your new heaterwith the velvet pumpkin on your fireplace Kathy! Best of luck with moving. I am sure it will be hard to leave this place since you have styled it so beautifully. Everything is just sooo pretty! Your home is amazing and I love everything about your fall decor! Your fall decor is fabulous, Kathy! Just gorgeous! You always have JUST the right amount of decor. Simply beautiful. I’m loving that copper pumpkin and DIY feather art! I didn’t know I had a love for feathers until this home tour hop! Kathy, I love your style and all of the fall touches you’ve added around your home. The mix of textures and non-traditional colors is such a breath of fresh air for fall decorating! AW! Thanks so much Emily! Everything looks so beautiful! I’m super impressed with your kids coffee table styling!! Awww I can’t believe this will be your last tour here. I’m loving this last look at this part of your decorating journey and am looking forward to seeing your next venture. I love all the fall touches and especially love how you take an alternative approach to fall decorating. Beautiful tour, as always! I love the unique colors you brought in for fall and you should put those kids to work all the time. You’ve got some little stylists in the making! Thanks Sharon! It’s nice to have the extra help. I’m putting them to work next summer for sure! Wow! Just wow, Kathy! I adore your photography in this post showcasing your fall touches! Your faux fireplace mantel styling is simply beautiful and your copper planters are the cutest! Fabulous tour!! Where did you get the room heater?! Such a brilliant idea. It looks great!!! Amazon! I’ll just go ahead and add that link in the post. lol I was surprised to find a white one with a pretty design!